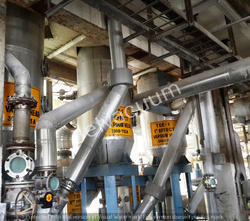 Pioneers in the industry, we offer forced circulation evaporator, pan type evaporator, multi effect evaporator, industrial evaporator, falling film evaporator and natural circulation evaporator from India. Temperature Range 5 to 10 degree cel. We are one of the leading manufacturer and suppliers of the leading manufacturer and supplier of Forced Circulation Evaporator with the use of high quality of raw material as per the industry standards. 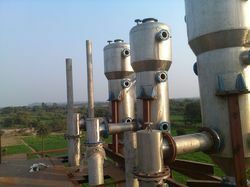 We are the leading supplier of Pan Type Evaporatormade from high quality material at competitive prices. Temperature 5 to 10 degree cel. 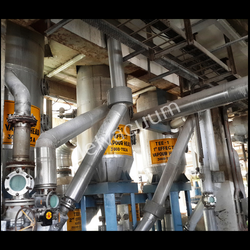 Being a customer focused organization, we are engaged in manufacturing, supplying and exporting Multi Effect Evaporator used in Zero Liquid Discharge Plant, Manufactured using high quality material, our range comprises a heat exchanger, separator and cooling system. Available in various specifications, these are widely used for the concentration of aqueous solutions. 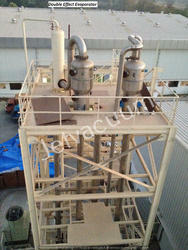 We are highly appreciated in the international market for our exquisite collection of Industrial Evaporators. 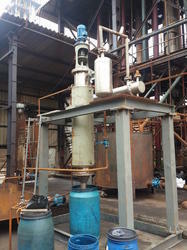 Offered evaporators are manufactured following industry set guidelines and work on the principle of adiabatic evaporation. 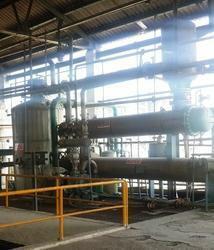 In Falling Film Evaporator is distributed at the top of tubular heat exchanger and flows downwards creating a film. The turbulence of descending film, created by the vapor generated by boiling, results in high heat transfer coefficients and reduced contact times. We are one of the leading manufacturer and suppliers of the Natural Circulation Evaporator with the use of high quality of material used as per the industry requirement. Max Temperature 5 to 10 degree cel. We are highly appreciated in the international market for our exquisite collection of Thin Film Evaporator. 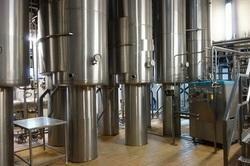 Offered evaporators are manufactured following industry set guidelines and work on the principle of adiabatic evaporation.These products can handle can handle a variety of dairy & milk products and chemicals & pharmaceuticals. 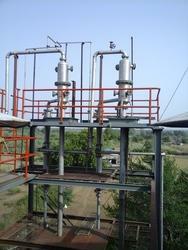 We are the leading and prominent Manufacturer and Exporter of Evaporation Equipments. As one of the most prominent manufacturers in this industry, we are engaged in offering high-quality Milk Evaporators to our valuable clients. Our offered evaporators are used for processing milk concentration and enable evaporation of a large amount of wastewater during processing. Moreover, this product is precisely engineered and ensures that the natural properties of the milk and other suchlike products, like flavour, taste and colour, are maintained. Triple Effect Evaporators are manufactured as a complete system including feed tanks, feeding pumps, heat exchangers, condensed withdrawal pumps & Barometric legs with steam ejectors.The systems are designed in any material of construction & capacity to suit the requirement. 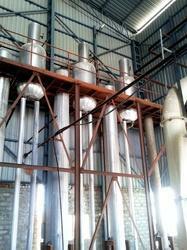 We are highly appreciated in the international market for our exquisite collection of Agitated Thin Film Dryer. 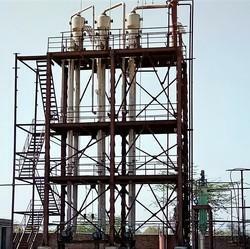 Offered evaporators are manufactured following industry set guidelines and work on the principle of adiabatic evaporation. 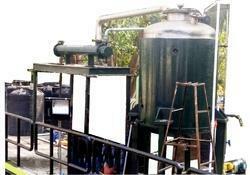 We are manufacturing and supplying Mechanical Evaporator. 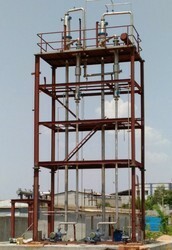 The offered evaporators are used for evaporating waste water from effluents and are regarded for their high speed and resistance towards corrosion. These evaporators are durable, user-friendly, require the least maintenance and available at cost-effective prices as well.